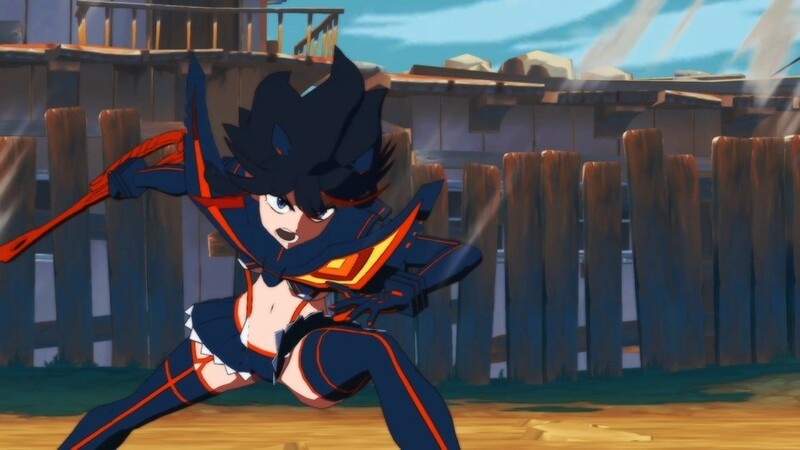 We've got some unexpected excellent news as Arc System Works has revealed that Kill la Kill: The Game -IF-, its latest venture into the world of anime fighting games, is making the jump to the Nintendo Switch. While there is still no confirmation that this will be released in the West, this news hopefully means we will not have to endure a nine month wait between Switch and other platforms, as was the case with their previous anime brawling effort Dragon Ball FighterZ. The company also confirmed that baddies Nui Harime and Ragyō Kiryūin will join the playable roster of previously fan-favourite character reveals Ryūko, Satsuki, Sanageyama and Gamagoori. While there are no screenshots or gameplay videos of the Switch version as of yet, please take a peek at the latest PlayStation 4 build gameplay presented at the latest Evo. Are you a fan of this 2013 cult anime? Are you looking forward to add yet another anime brawler to the Switch growing library of the genre? Don't make us Kill la Kill you in the comments below. I'm definitely game for it. Kind of wonder just what the roster is going to end up looking like - the rest of the Elite Four and Mako are pretty safe bets, but don't really know beyond that. Guess probably some of the club leaders and Nudist Beach members. Neat! Might be the version to get if you don't want to deal with unnecessary censorship, too. I like the game's art style. The anime look reminds me of FighterZ, but without Toriyama's hideous character designs. BTW, I'd better be able to lop off Nui's arms with a special or something! Kill la Kill is literally the plot of Sonic Adventure 2. Seriously, there are so many similarities it’s hilarious. Gotta love Arc's Switch support. Anyone know when Guilty Gear is arriving? Maybe another game that would have been kill la killed - pun intended - by Sony's new censorship policy otherwise. At least the anime is very fanservicy. @nessisonett Even moreso it's Chrono Trigger. Ryuko is Magus, Satsuki is Schala, Ragyo is Queen Zeal, and the Life Fibers are Lavos. I'm still on the fence how I feel about this anime but I like it better than Dragon Ball so I'll pick it up. This looks awesome. I was surprised when it was announced without Switch, so it just feels right that it's coming to Nintendo now. It's just another example of how Switch is becoming the definitive Japanese console, especially with Sony alienating lots of Japanese devs and fans. Another anime game NintendoLife will give a 4 to because of "revealing outfits" the same day they give some s*** indie a 9. Very cool KLK is getting a Switch release! @Lando_ Senran Kagura Reflexions got 4, Gone Home got 9... I don't think they were posted on the same day thou. I’m down for this. Kill La Kill rules. @Mijzelffan Nonon was already revealed. With Sony's censorship, Nintendo should get hands back on the rest of the Senran Kagura games. Bring over and localize uncensored versions of Re:Newal, Peach Beach and Peach Ball to the Switch! The design looks really cool, plus the butts are a nice touch. Too bad it's always local co-op only, which can ruin it. @Ralizah Great news! Now we can get to play the uncensored version. Kill la Kill is one of the absolute best anime in recent years from a studio that has proven itself time after time. Studio Trigger is a relatively recent company born from many of the people who originally worked on Gurren Lagann and their all star roster, Kill La Kill, When Supernatural Powers become Commonplace, Kiznaiver, Little Witch Academia Darling in the Frannxx, and currently airing, Gridman, have all been excellent! Anything these people touch, I have loved! That said, it will make me all the more angry if Arc System Works screws this up, I will be all the more angry. Also I'm not as upset as I usually am, about anime fighting games, because a fighting game actually is all that you could reasonably make out of this series. 1v1 fights were 90% of the action in the show. watch ps4 version get censored while switch gets the full game with no censorship wats so ever. First time I've heard of it. The gameplay grin the video seems surprisingly fun, with the distance play and charge mechanisms. It seems to work very well on the 3d plane too. Might be lots of fun to play actually. I have not watched the anime at all so no offense to the anime. That said, I would kinda like to see more variation in anime-based games rather than just fighter after fighter. There's already Naruto UNS Trilogy, DBFZ, the One Piece games, and the painfully lackluster MHA game that just released. Can we get an anime game that isn't a fighter for once? (And not those trash SAO games). 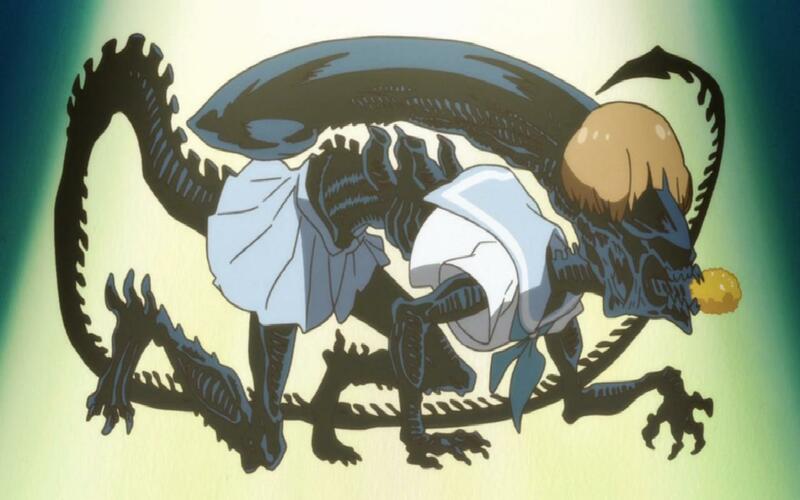 But will it have xenomorph mako? @JayJ I enjoyed it more for the comedy aspect and fight scenes, which was about the same reason I enjoyed the anime that it's essentially the spiritual successor of; gurren laggun. @Shadowmoon522 Well if it's got comedy I can enjoy that, far too many of these kinda things take themselves far too seriously and that is what I was expecting. @Heavyarms55 As long as they don't completely screw this up, it might just be one of the games I'm looking forward to the most. Love Kill La Kill so much, it was one hell of an anime.